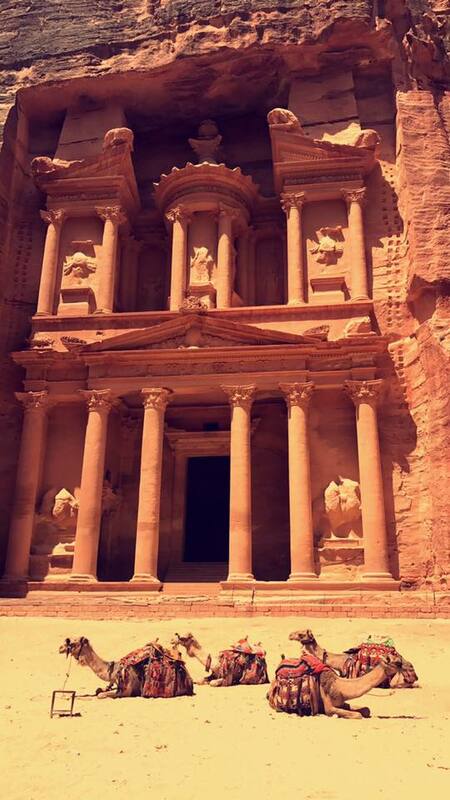 The Lost City of Petra, Jordan. Arab art, language, and religion: Is their a single version of this, or is this something that is diverse, and varies as you move around the Middle East? Being rooted and raised within the Palestinian culture, I feel that it is important to express the fine distinctions within a culture that many may not consider. Arab art changes and is different as you move around the Middle East. While there may be similar sounds in the music and similar looks in the paintings, there are specific details that make the difference. Some of these subtle differences can be seen if you go to Egypt, where they have a more western-based music sound that does not use as many traditional instruments, whereas when you go to Lebanon, you find that they use more traditional instruments such as the oud. In terms of language, Arabic is often considered the same throughout the Middle East. That generalization does not take into account the differences as you move across the Middle East. One will find many differences in words and their meaning. Moreover, many people may say that when they hear a language that sounds like Arabic, they identify it simply as the Arabic language. However, the Arabic from Saudi Arabia is different than that from Egyptian Arabic and Syrian Arabic. An example of this is evidenced in the words for grandpa and grandma. In Palestinian Arabic, grandpa is seedo, but others may say that grandpa is jadd. The same goes for grandma, some say it is teita, and others say it is jidda. When people think of the Arabic language, they have to consider how many countries there are and how their language may differ between one other. An integral part of the culture are also the religious beliefs. Many people think of Arab culture as everyone being Muslim, and practicing that religion closely. While the majority of Arabs are Muslim, not all are extremely devote, and some are even Christian. Arabs are not confined to a single religion. Some are even Jews and Buddhists. As such, religion further exemplifies the variances that emerge within the Arab culture. Arab culture is diverse. It expands across the Middle East from Egypt to Iraq to Yemen. With this vast region, many religions and cultures are hidden within the general "Arabic Culture." Next time you meet someone who is Arab, discover their personal culture, and do not assume they are a part of the general culture.